The Venture Beat report revealed that only 2 out of 36 companies failed to generate substantial ROI with conversion optimization. And only 5% of the 2,938 marketers surveyed were not able to generate ROI with conversion optimization. The report further revealed that 173 of the marketers surveyed were able to achieve ROI of over 1,000%. Given these statistics, it’s no wonder that more and more companies are preparing to spend a considerable fortune on conversion optimization. Most websites don’t have a massive traffic problem; however, every website in the world has a conversion problem. Conversion rates typically range from a mere 1% to 3%. Most companies spend $92 to acquire customers but only $1 to convert them. 85% of marketers plan to focus more on conversion rate optimization this year. No matter what you need – shopping, dating, socializing, or even reading – there’s already an app available for that. No wonder! When mobile browsing began to climb in popularity, many businesses rushed to capitalize on the craze, shelling out money to develop personalized and task-oriented apps in order to tap into the app-driven future of the biz world. And that realization is pushing a lot of marketers and businesses to continuously run in-app A/B tests and push different interface options to increase their conversion rate manifold. In fact, the trend of in-app testing has already become a fad, and as of Q4 2015, a number of businesses have experimented with in-app testing to increase conversion opportunities. Take the example of Nitro. The popular PDF creating, editing, and sharing software platform was able to increase its daily conversions by 88%. Mobile apps account for 52% of all time spent on online digital media. Users spend 89% of mobile time using apps. 42% of all mobile sales generated by the leading 500 merchants come from mobile apps. 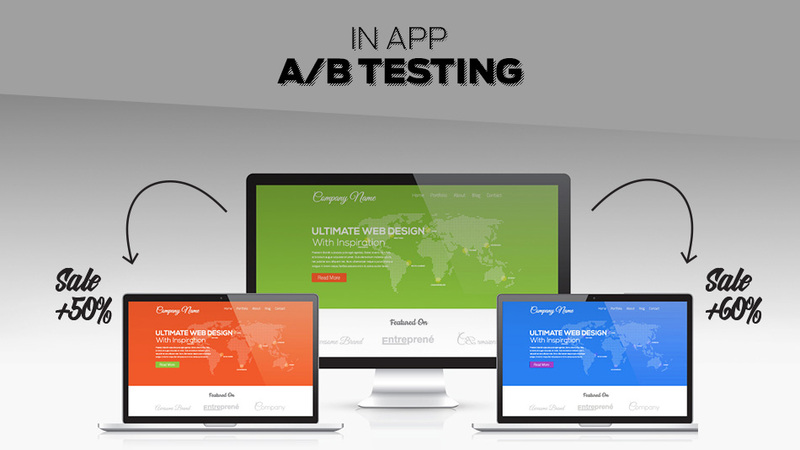 A/B testing is the most used method for improving conversion optimization. Get Insights – Rather than randomly testing this and that to optimize your conversions, it’s better to get qualitative insights to understand what your customers like, what they don’t like, which features they use, and who your customers are. Then, basis the data, chalk out a plan, and test elements that will have the biggest impact. Monitor performance – Measuring in-app analytics baffles most newbie entrepreneurs, but it’s essential to set a goal for your tests and measure your performance accordingly. So, compare open rates, click-through rates, conversions, and more. Continuously improve – Nothing is ever perfect. While there can be only one winner for each test, there’s no limit to the number of tests you can run. It’s a good practice to constantly improve upon the winning variants of past tests by running new tests. Always be testing. Amazon A/B testing – This tool is available for free. With its ability to limit the sample size and set complex criteria, this tool helps you run in-app tests rather easily and conveniently. Amazon A/B testing works on iOS and Android. Appsee – Appsee is yet another popular testing tool for in-app testing. It allows you to track exactly what your visitors are doing and where exactly your users are spending most of their time on your app. Equipped with this information, you can decide on a more effective placement of your CTAs. Appsee provides a free trial. Arise – Over the years, Arise has become one of the most preferred in-app testing tools for various marketers across the globe. It helps you analyze in-app purchases, new account creations, and improved CTR on ads. The basic version of Arise is available at $0. No matter which testing platform you use, ensure that everything – from the content to the design – comes together in a way that makes your customers and prospects want to know more about your brand and then stay. Over 1.2 billion people use mobile devices to access the web, and no one screen size has more than 20% of the market share. 34% of buyers use their mobile devices for product searches. 61% of buyers form better opinions about brands that offer a great mobile experience. Given these facts, it’s not rocket science to understand that a mobile version of your site would give you unlimited opportunities to convert strangers into paying customers. And, it’s not surprising that a number of brands went mobile last year. We’re going to see more of the same in the year ahead. With the substantial increase in mobile and tablet usage, an increasingly large number of consumers now want and essentially demand better user experiences on these devices. 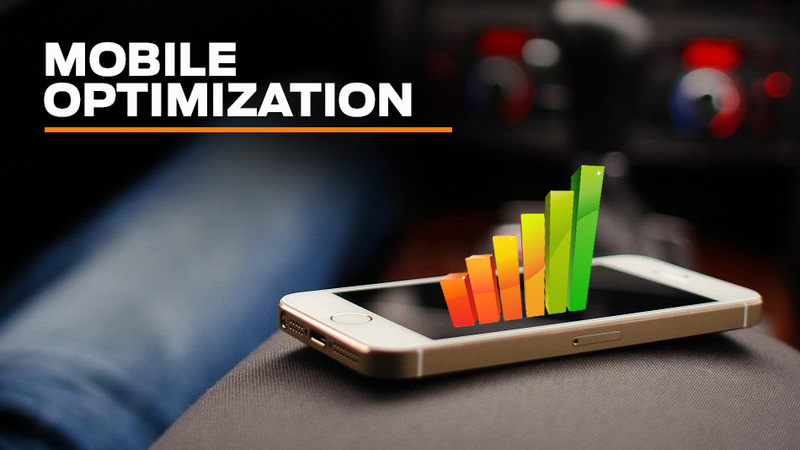 It means that, soon, mobile optimization will be the norm, rather than the exception. Deliver faster load time – In most countries, the cellular data networks are much slower than wired network connections. Reports suggest that slower network speed is the prime reason for the ever-increasing cart abandonment rates. In fact, Usabilla.com says that nearly 50% of users expect a site to load within 2 seconds or less, and they abandon a site if the load time is more than 3 seconds. Therefore, preload information that most users ask for so they won’t have to wait for the network. Cleverly use animated buttons and other elements to mask short network delays. Provide easy visibility – The screen sizes for mobile devices are much smaller than those for personal computers. So, ensure visually appealing content to make your mobile site look inviting. Make sure to use mobile-friendly images and choose fonts that are easy to read. Avoid image carousels – Experts say that image carousels discourage visitors because they either slide too fast or are too small for the visitors to see navicons. So, it’s better to avoid using image carousels, if possible. Use single messages instead. After all, it’s better to cash in on a single offer than confuse customers with a variety of different promotions. Find the best keywords for your business using Google AdWords mobile search, and optimize your mobile content accordingly. Properly resize your images and content and remove duplicate content and error pages. Test your mobile site on multiple browsers and devices to ensure that it is mobile-friendly. There are a host of useful resources and tools available on the Internet to help you with mobile optimization. Some of the most notable ones are goMobi, Moz, YoMobi, and DudaMobile. If you still haven’t optimized your mobile site, now’s the time. Go for it. Remember, it’s never too late to bring your mobile site back on conversion track. Monthly Google searches for the term “marketing automation” have increased by 22%, from an average of 12,100 in February 2014 to 14,800 in January 2015. 79% of top-performing companies have been using marketing automation for two or more years. 63% of marketers plan to increase their marketing automation budget. 41% of marketers believe that marketing automation is very effective. Companies using marketing automation see 53% higher conversion rates. 76% of business leaders list lead generation as the biggest marketing automation challenge. 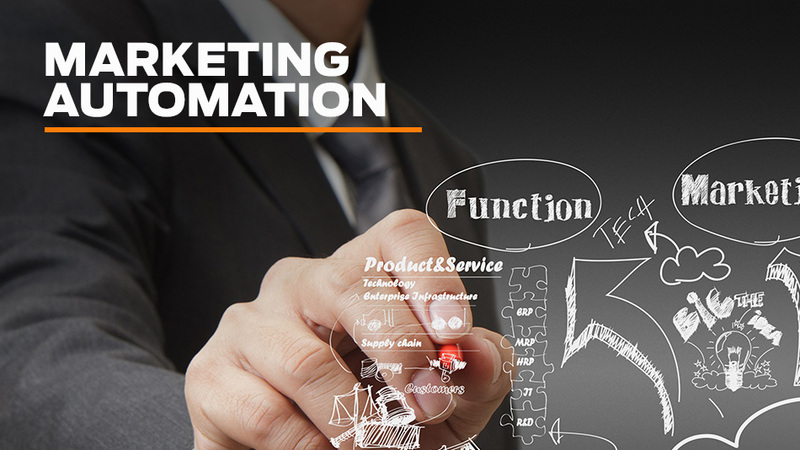 44% of marketers are not fully satisfied with their marketing automation systems. 85% of B2B marketers using marketing automation feel they’re not using it to its full potential. Make a goal – Before you start using marketing automation software, define the goals you are looking to accomplish with it. Also, set a budget for accomplishing your goals. HubSpot – One of the pioneers in automated marketing. It helps you transform your marketing efforts into lead generation and ultimately conversion. Marketo – The leading cloud-based marketing automation software that helps you drive traffic, nurture leads, and boost conversions. Marketo provides a free trial to use its automation platform. Oracle Eloqua – Another popular marketing automation platform that allows marketers to plan and execute marketing campaigns and build and sustain consumers through personalized experience. 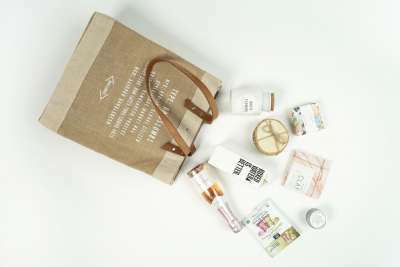 Start with micro-campaigns – Remember, Rome wasn’t built in a day. So begin with small campaigns targeting your prospects and customers. Offer valuable educational content and information. This will make your customers want to know more about your brand and look for products and services that you offer. 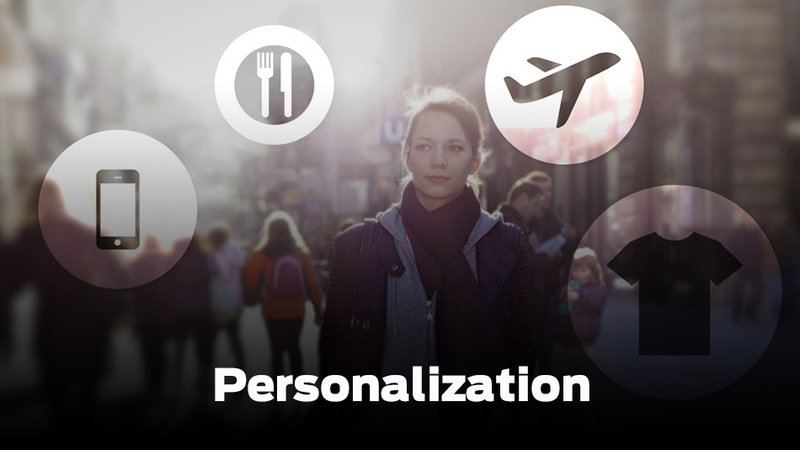 Marketers see an average 20% increase in sales when using personalized web experiences. Personalized CTAs result in a 42% higher conversion rate than generic CTAs. Personalized emails improve click-through rates by 14% and conversion rates by 10%. 56% of online buyers prefer to shop on sites that provide personalized recommendations. With as many websites as there are now, it’s no longer enough to have an online presence. You’ve got to battle it out with other sites. The rule of this game is simple: you’ve got to get – and hold – the attention of your target audience. And, you’ve got to hold their attention until they’ve paid you for your product or service. What do you think will set your site apart from others? In a word, personalization. But what’s personalization? It is an effective way to present your content so that it speaks to your target market and resonates with them. Then, when they look at the design, it’s their experience, their voice, and their taste that they see. With the way things are going, personalization is likely to continue to dominate the conversion optimization trends for a few more years. In a blog post published at Crazy Egg, Jeremy Page reveals that 52% of online marketers agree that the ability to personalize content is fundamental to their online or blogging strategy. 60% of marketers struggle to personalize content in real-time. The complexity of systems, access to real-time data, and data privacy remain the biggest challenges of personalization. Only 32% of marketers are able to explore the advantages of personalization. Segmentation – A blog post published on Designhill reveals that segmentation is the process of personalization by breaking up content into small parts to ensure that you’re sending the right email to each individual customer, conforming to their interests or needs. Use recipients’ real names in email messages. Automated behavioral trigger – HubSpot reveals that automated behavioral trigger emails help you understand how your customers are using your product. The site further reveals that trigger emails offer 152% higher open rates. It makes sense to automate trigger emails to up-sell and cross-sell, welcome a new member, and retarget. Mobile-friendly – In Q1 2015, around 66% of emails were opened on smartphones and tablets. Quite expectedly, you need to optimize your email designs to work well, irrespective of the changing screen sizes. It is advisable to keep the width of emails at 500 pixels, headlines at 22 pixels, and body copy at a minimum of 14 pixels. In addition, leave a lot of cell padding around call-to-action buttons. Use dynamic pricing and images – Another staple of 2015 that is likely to continue to be a big hit in 2016 is dynamic images and pricing. Dynamic pricing is the technology-based pricing system that prices a product depending on current market conditions. Traditionally used by airlines and large enterprises, dynamic pricing is helping small businesses and startups maximize their sales. Similarly, dynamic images are interactive product images that show the product in action, offering visitors a real-time experience of the product. Create Location-Specific Content – Every time a visitor visits your site, they provide information about their location and demographics. Use this information to create personalized content relevant to the location of the visitor. If you’re an e-commerce business, you may provide local deals, and if you’re an article-based site, you may provide news from around the user’s location. By providing personalized content based on the user’s location, you’ll be able to build trust in your business, which eventually translates to conversion. 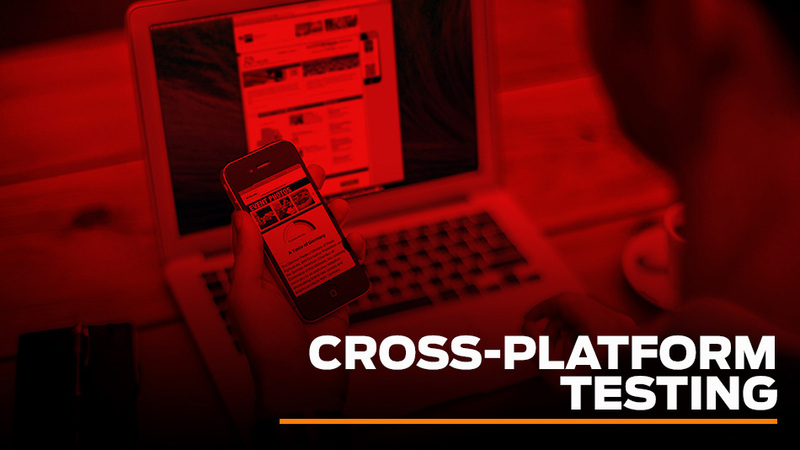 Cross-platform testing is yet another trend that’s here to stay! Cross-platform testing is the process of testing the suitability of your content, design, and other elements across various platforms. Given the rise of mobile, smartphone, tablets, and laptop use, it’s easy to see why cross-platform testing has now become more popular than ever. Remember, you’re putting in a lot of time, effort, and money to increase online performance. But, only increasing online presence won’t help you. You also need presence that attracts interest and that is compelling enough to keep audiences. That’s why it’s necessary to test your online presence across different platforms and devices. By doing so, you can deliver tested UI/UX without having to differentiate between web and mobile. Know what your users want – It makes sense to learn about your target audience! Understanding user behavior and patterns will help you decide which devices/platforms you will need to make your app/website available on. Conform to the UI/UX guidelines – Understand each platform separately and read the respective guidelines before conducting cross-platform testing. Getting acquainted with the behaviors and visual aspects of different platforms will help you understand how to maneuver core functionalities and elements for different platforms. Test frequently – Testing your app/site frequently is extremely crucial. It will help you build each element resolutely and reduce the chance that you will find errors at later or critical stages. Online videos account for 50% of all mobile traffic. 70% of marketers believe that videos convert better than any other medium. Video, when included in an email, increases the click-through rate by 200% – 300%. If the word “video” is used in an email subject line, it increases open rates by 19% and click-through rates by 65%, and it reduces unsubscribe rates by 26%. Create interactive videos – Earlier, audiences were mute spectators. But, things have changed! Thanks to interactive videos, visitors are now able to click and engage with the content within the video. So, create interactive videos to entertain and engage your visitors and increase your conversion rate manifold. Enhance your targeting – With video marketing becoming mainstream, analytics have evolved. Now, it is easier than ever to analyze consumer behavior, preferences, and demographics to devise video campaigns to target specific sets of viewers or categories. 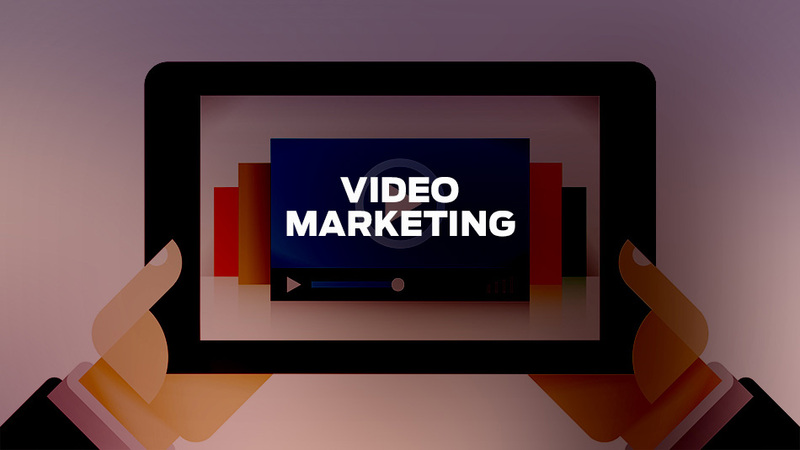 So, create targeted video marketing campaigns to boost conversions. Use mobile–centric videos – Over 20% of video views happen on mobile devices, and this trend is growing by leaps and bounds. So, it makes sense to create mobile-centric and mobile-inclusive innovative videos. 70% of small businesses lack a call-to-action. Only 47% of websites have a clear call-to-action button that takes users 3 seconds or less to see. 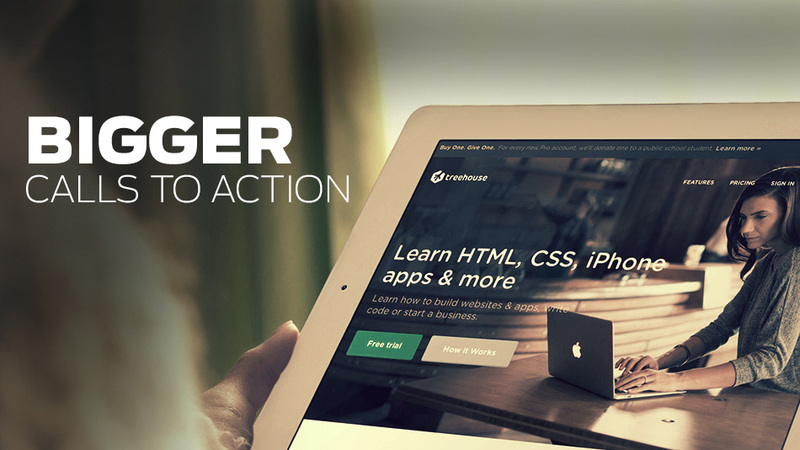 70% of small businesses don’t display clear calls-to-action on their home pages. Remember, an effective call-to-action means getting visitors to willingly provide their contact details. By clicking on your call-to-action buttons, visitors are giving you permission to communicate with them. And, from there, you can work on strategies to turn those visitors into paying customers. So, this is on the list of upcoming conversion optimization trends for 2016. Coordinate colors – Test CTAs with the different color schemes on your website. Choose colors that make your call-to-action buttons stand out. Your CTA should stand out from the background. But make sure it doesn’t clash with the background. Consider placement – Placement is yet another criterion that you must test. Don’t place your CTAs on sidebars or in the central content area. Try to keep your CTA above the fold. Be creative – Since the Internet is filled to the brim with CTAs, it’s vital that your CTA button captures your target audience’s interest right from the get-go. Don’t be afraid to be creative in your CTA endeavors. But, don’t forget to test how your audiences are reacting to your creative call-to-action buttons. 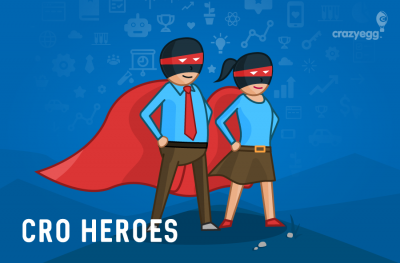 So, there you have it, our 2016 predictions for conversion rate optimization trends. We aren’t sure which ones will go the way of the dinosaurs and which ones will adapt, evolve, and outlast the others. But, we’re sure more awesomeness will come. May you see bigger, better conversions in 2016! About the Author: Shruti Gupta works as a Blogger & Digital marketing Expert for Designhill.com, world’s fastest-growing crowdsourcing platform for custom logo design, website designs, banner, social media designs and a host of other graphic designs. With profound professional, technical and people management skills, she has spent 7.5 years of extensive experience in SEO, affiliate marketing digital marketing, blogging, and content marketing.